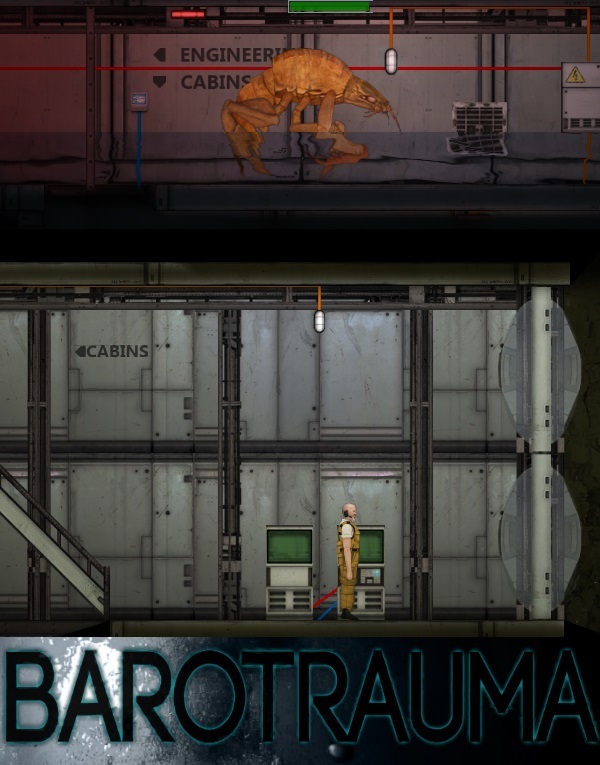 Barotrauma is a 2D online multiplayer game taking place in a submarine travelling through the icy depths of Jupiter’s moon Europa. The bone-crushing pressure outside the submarine, the strange creatures inhabiting the ocean and the potentially dangerous equipment and machines on board ensure that the tiniest slip can turn the game into a chaotic struggle for survival. The game is heavily inspired by Space Station 13 and a game concept called Pressure. A free alpha version of the game can be downloaded from the official website.